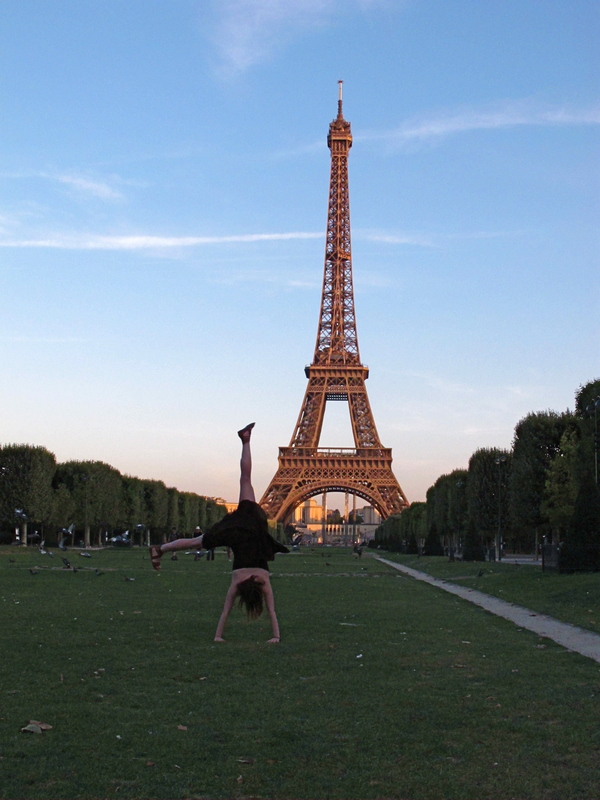 We’re All Paris, One Wine Cork at a Time | Parlez-Vous Loco? It was Saturday morning, the day I took these pictures. Just like today, and yet not anything like today. 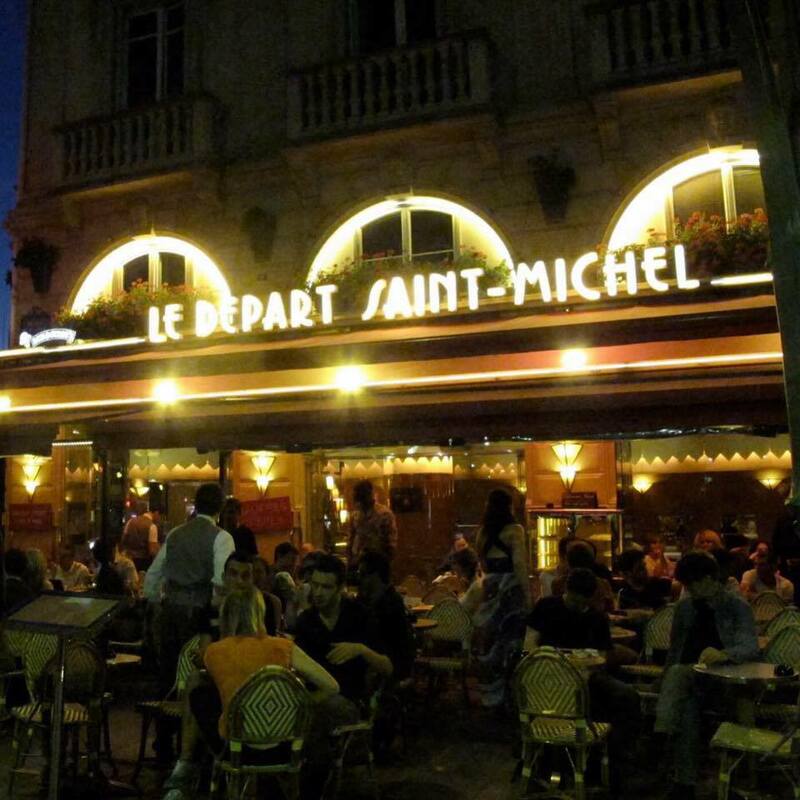 My friend and I had stayed out all night in Paris, something we vowed we would do before we left Paris as residents and came back as visitors. 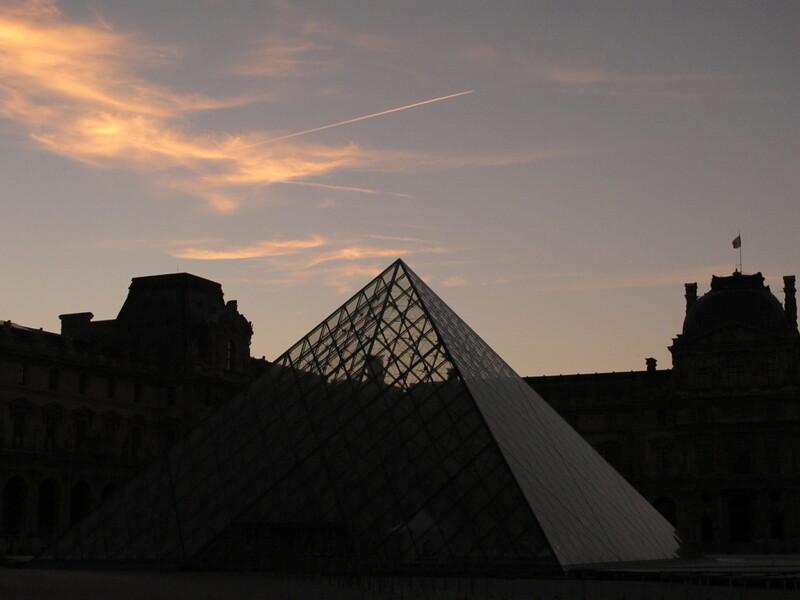 We wanted to experience the City of Light from sunset to sunrise. We’d been walking around all night, from bridge to bridge, cafe to cafe, arrondissement to arrondissement, and now the sky was changing fast. It had gone from black to dark blue to light blue to pink and was threatening to turn orange dangerously fast, so we picked up our speed as we walked along the Seine. Neither of us had said out loud where we were going, but we both knew—where else would we go?—and we had to be there by sunrise, so we walked faster. The sun beat us there, but we didn’t mind; it hadn’t beaten us by much. 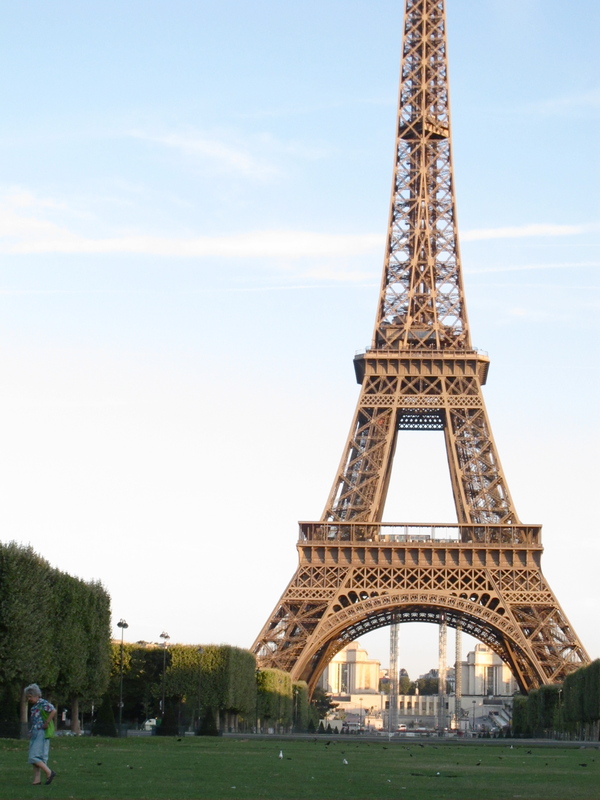 It was around 7 a.m. when we got to the Champs de Mars and we couldn’t believe our eyes: we were the only ones there. I’d never seen so much grass there before; usually it was covered with people having picnics and bottles of wine, taking selfies in front of The Eiffel Tower. We were still a little drunk, plus we were giddy at the gift the Paris gods had given us: we were completely alone at one of the busiest, most photographed places on earth. It seemed impossible, but it was real. Jenna did a cartwheel and I skipped like an idiot across the grass. Then we saw her: A woman picking things up off the ground as she walked, putting them in her bag. She was the only other person as far as we could see except for us. We were stunned. I’m not sure what I thought she’d say, but it definitely wasn’t that. Maybe she was a little crazy. Maybe my comprehension was off. But there was no misunderstanding her, because the only languages we needed to be fluent in to get it were universally spoken: grief and remorse, with strong dialects of perseverance and strength. We picked up a few corks and gave them to her to help her cause. Then we stayed and enjoyed the peaceful silence for a little while. Birds chirping, no horns honking, no tourists invading the grass. Just complete quiet and peace. We left reluctantly, only because we were hungry, and though neither of us said it, I think we also wanted to go before other people started to arrive. The entire Champs de Mars was ours and ours alone, but we knew it wouldn’t last. We had to leave before the crowds started piling in. We wanted to remember it just like this. 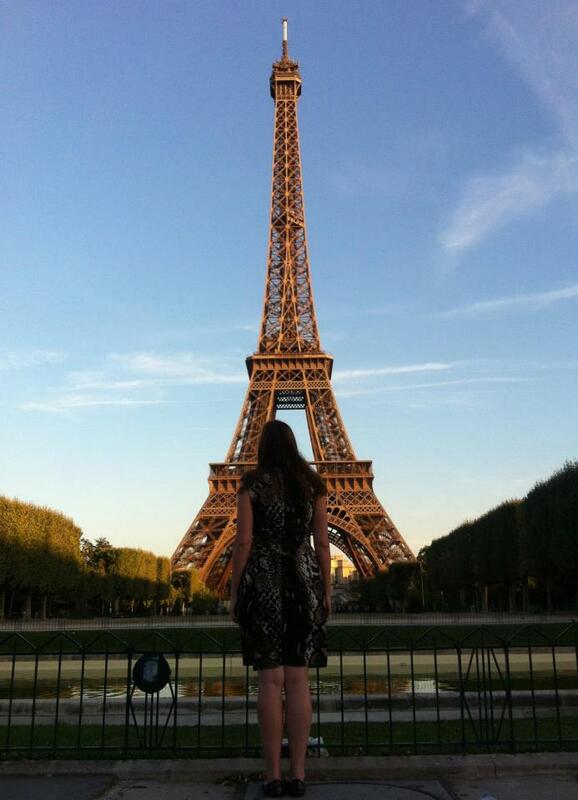 We kept looking back as we walked away, snapping pictures like crazy to remember it, because we knew that we’d been given the gift of a lifetime: the Eiffel Tower alone at sunrise. We got our croissants and ate them on the steps of a random church in the 7th, talking about everything that had happened, but mostly just enjoying the sunny silence of the beautiful morning and its complete peacefulness. Today, I woke up thinking about that morning and how much it meant to me. I wish the people of Paris could have that kind of happiness and peace again today—I wish we all could. My heart is broken for the people who are gone and for all the people who mourn them. I know that this kind of violence isn’t isolated to Paris—the whole world needs our prayers. But Paris has taken a beating this year, and right now, my whole heart, every ounce of love, and all my prayers go out to my other home, that magnificent, beautiful city full of strong, kind people. I think about that lady from time to time, too, and wonder how she is: The Wine Cork Angel of the Champs de Mars, keeping Paris beautiful to honor her brother. I want to be her today. We can all be her, no matter where we are: remembering people we love, people we lost, and today, remembering people we didn’t even know, but still carrying on to do our part to keep the world good and beautiful. We have to do that. If we don’t, we do a huge injustice to the people the world lost yesterday. We have to feel the devastating loss of what’s happened in Paris and all over the world, but we have to take strength from it to make things better instead of being hobbled by it. We can do it together, a little bit every day, one step at a time, one kind word at a time, one wine cork at a time. I know that’s what the people of Paris will do. They’ll be strong and kind in the face of this, like always. Because they’re Paris. If you want to see more pictures of that night, they’re here. Thanks, Jenna, for taking some of these and for sharing them. Get the crazy in your inbox.